A masterful debut novel by Plimpton Prize winner Isabella Hammad, The Parisian illuminates a pivotal period of Palestinian history through the journey and romances of one young man, from his studies in France during World War I to his return to Palestine at the dawn of its battle for independence. Midhat Kamal is the son of a wealthy textile merchant from Nablus, a town in Ottoman Palestine. A dreamer, a romantic, an aesthete, in 1914 he leaves to study medicine in France, and falls in love. When Midhat returns to Nablus to find it under British rule, and the entire region erupting with nationalist fervor, he must find a way to cope with his conflicting loyalties and the expectations of his community. The story of Midhat's life develops alongside the idea of a nation, as he and those close to him confront what it means to strive for independence in a world that seems on the verge of falling apart. 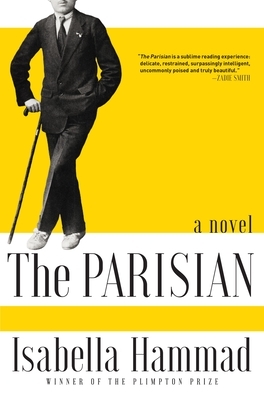 Against a landscape of political change that continues to define the Middle East, The Parisian explores questions of power and identity, enduring love, and the uncanny ability of the past to disrupt the present. Lush and immersive, and devastating in its power, The Parisian is an elegant, richly-imagined debut from a dazzling new voice in fiction. ISABELLA HAMMAD was born in London. She won the 2018 Plimpton Prize for Fiction for her story "Mr. Can'aan." Her writing has appeared in Conjunctions and the Paris Review. The Parisian is her first novel.